(over £6 Million per year). Owned by a time served Machine Tool Service Engineer with an electro/mechanical background. 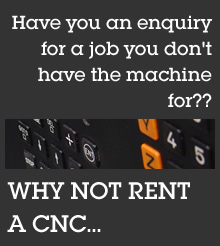 Well-known and respected company with in depth knowledge of machines and machining processes. We sell over 300 machines per annum and have a turnover in excess of £6.25 million and have over 9500sq ft of showroom electronic & mechanical workshops with software modification facilities. All machines advertised are owned by us unless stated otherwise. Machines are presented with original paintwork not retouched and a policy of a straight answer to a straight question. Flexible - "out of hours" viewing is not a problem.